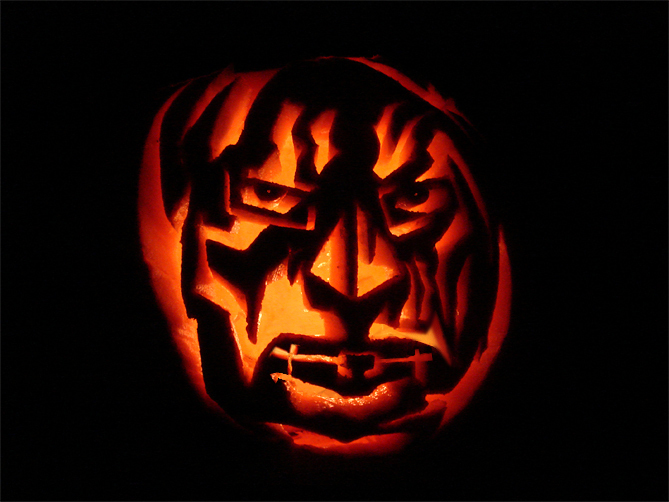 From artist Loston Wallace, here’s Kirby’s version of Dr. Doom, translated to a “Jack” o’Lantern. That oughtta scare away the trick or treaters! This entry was posted in TNT on 30 October 2007 by Mr. Morrow.